I obtained my PhD in geodesy from Wuhan University in 1989. After a number of years of doing research at Delft University of Technology, The Netherlands, Stuttgart University, Germany, The University of Calgary, Canada, and The National Research Institute of Earth Sciences and Disaster Prevention, Japan, I joined the Disaster Prevention Research Institute in 1997 as a Joshu. I have been working on linear and nonlinear inverse problem theory, random(stress/strain) tensors, global positioning systems (GPS) for very high precision positioning, deformation measurement analysis, mathematical and physical geodesy. More than 40 papers have been published in a number of journals, covering all of these subjects. A number of invited lectures/ talks/ seminars have been given at several universities and research institutions in Europe and Asia. My research interest also includes earthquake statistics, theoretical seismology, and earthquake dynamical simulations. * Xu P.L., Liu J.N. & Dermanis A., 2008. Proceedings of VI Hotine-Marussi Symposium on Theoretical and Computational Geodesy, Springer, Berlin, 362 pages. (61) Xu P.L., (2009). Zero initial partial derivatives of satellite orbits with respect to force parameters violate the physics of motion of celestial bodies, Science in China Ser. D - Earth Science, 52, 562-566. (60) Janak J., Fukuda Y. 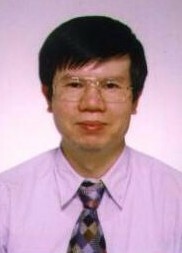 & Xu P.L., (2009). Application of GOCE data for regional gravity field modelling, Earth Planets Space, 61, 835-843. (59) Xu P.L., (2008). Position and velocity perturbations for the determination of geopotential from space geodetic measurements, Celestial Mechanics and Dynamical Astronomy, 100, 231-249. (58) Li B.F., Shen Y.Z. & Xu P.L., (2008). Assessment of stochastic models for GPS measurements with different types of receivers, Chinese Science Bulletin, 53, 3219-3225. (57) Xu P.L., Liu Y., Shen Y. & Fukuda Y, (2007). Estimability analysis of variance and covariance components, Journal of Geodesy, 81, 593-602. (56) Xu P.L., Shen Y.Z., Fukuda, Y. & Liu Y.M. (2007). Reply to the comments by K.-R. Koch and J. Kusche, Journal of Geodesy, 81, 633-635. (55) Xu P.L., (2006). Voronoi Cells, Probabilistic Bounds and Hypothesis Testings in Mixed Integer Linear Models, IEEE Transactions on Information Theory, 52, 3122-3138. (54) Xu P.L., Shen Y.Z., Fukuda, Y. & Liu Y.M. (2006). Variance Component Estimation in Inverse Ill-posed Linear Models, Journal of Geodesy, 80. 69-81. (53) Xu P.L., Fukuda Y. & Liu Y. (2006). Multiple Parameter Regularization: Numerical Solutions and Applications to the Determination of Geopotential from Precise Satellite Orbits, Journal of Geodesy, 80, 17-27. (52) Xu P.L., Ando, M. & Tadokoro, K., (2005). Precise, Three-dimensional Seafloor Geodetic Deformation Measurements Using Difference Techniques, Earth Planets Space, 57, 795-808. (51) Xu P.L. (2005). Sign-constrained Robust Least Squares, Subjective Breakdown Point and the Effect of Weights of Observations on Robustness, J. Geodesy, 79, 146-159. (50) Xu P.L. (2004). Determination of Regional Stress Tensors from Fault-slip Data, Geophys. J. Int., 157, 1316-1330. (49) Xu P.L. (2004). Random Tensors with Applications in the Earth Sciences, J. Geod. Soc. Japan, 50, 1-15. (48) Xu P.L. (2003). Nonlinear Filtering of Continuous Systems: Foundational Problems and New Results, J. Geodesy, 77, 247-256. (47) Xu P.L., (2003), A Hybrid Global Optimization Method: The Multi-dimensional Case, J. comput. appl. Math., 155, 423-446. (46) Xu P.L., (2003), Numerical Solution for Bounding Feasible Point Sets, J. comput. appl. Math., 156, 401-419. (44) Xu P.L., (2002), Isotropic Probabilistic Models for Directions, Planes and Referentials, Proceedings of the Royal Society London, Series A, 458, 2017-2038. (43) Xu P.L,, (2002), A Hybrid Global Optimization Method: One-dimensional Case, J. comput. appl. Math., 147, 301-314. (41) Xu P.L., Shimada, S., Fujii, Y. & Tanaka T., (2000), Geodynamical Value of Historical Geodetic Measurements, Earth Planets Space, 52, 993-997. (40) Xu P.L., Shimada, S., Fujii, Y. & Tanaka T., (2000), Invariant Geodynamical Information in Geometric Geodetic Measurements, Geophys. J. Int., 142, 586-602. (39) Xu P.L. & S. Shimada (2000), Least Square Estimation in Multiplicative Noise Models, Communications in Statistics, B29, 83-96. (38) Xu P.L. (1999), Spectral Theory for Constrained Second-Rank Random Tensors, Geophys. J. Int., 138, 1-24. (37) Xu P.L. (1999), Biases and Accuracy of and an Alternative to Nonlinear Filtering, J. Geodesy, 73, 35-46. (36) Xu P.L. (1999), Despeckling SAR-type Multiplicative Noise, Int. J. Remote Sensing, 20, 2577-2596. (35) Xu P.L. (1999), Testing Physical Properties of Geopotential Fields, Boll. Geod. Sc. Affini, 58, 135-150. (34) Xu P.L., E. Cannon & G. Lachapelle (1999), Stabilizing Ill-conditioned Linear Complementarity Problems, J. Geodesy, 73, 204-213. (33) Xu P.L. (1998), Truncated SVD Methods for Linear Discrete Ill-posed Problems, Geophys. J. Int., 135, 505-514. (32) Xu P.L. (1998), Mixed Integer Observation Models and Integer Programming in Geodesy, J. Geod. Soc. Japan, 44, 169-187. (31) Xu P.L. & S. Shimada (1997), Inferring the Relative Measure of Principal Stress Components, Geophys. J. Int., 130, F1-F4. (1989): Research Fellowship of Delft University of Technology, Delft, The Netherlands. (1992): Research Fellowship of Alexander von Humboldt Foundation, Bonn, Germany. (1996): An STA Research Fellowship of Science and Technology Agency, Japan. (1999): Research Fellowship of Alexander von Humboldt Foundation, Bonn, Germany. © Research Center For Earthquake Prediction.